For a number of female genealogists, becoming a member of DAR (Daughters of the American Revolution) is an honor they work hard to achieve. DAR is a lineage-based membership organization for women directly descended from a person involved in the US’s efforts toward independence. They are a non-profit group who promote historic preservation, education and patriotism. From their website: “The National Society Daughters of the American Revolution was founded on October 11, 1890, during a time that was marked by a revival in patriotism and intense interest in the beginnings of the United States of America. Women felt the desire to express their patriotic feelings and were frustrated by their exclusion from men’s organizations formed to perpetuate the memory of ancestors who fought to make this country free and independent. As a result, a group of pioneering women in the nation’s capital formed their own organization and the Daughters of the American Revolution has carried the torch of patriotism ever since. The application process to join DAR is legendary. The amount of paperwork necessary, the amount of research, the supporting documentation, etc. I have seen stacks of paperwork inches thick that was submitted for consideration. Before the “age of the computer”, the work and effort one would put in to research their ancestors moved at a snail’s pace. With the digital revolution of online applications, research methods and records archives, that has changed the processes. If you are interested in joining DAR or the specific criteria they require, click HERE. I hope to one day be able to call myself a Daughter. It is not the top priority item, but it is high up there. I am still gathering pertinent information for my five-generation-circle. That’s what I call my family out to my third Grandparents. I want to lock down as much information as possible through my lines to that extension point. I will consider that a huge milestone accomplishment. The paperwork I am trying to gather for each person to that point is: Birth Certificate (or equivalent), Death Certificate, Marriage paperwork (if applicable) and Obituary. If possible, I hope to visit their graves to pay my respects and photograph their stones. 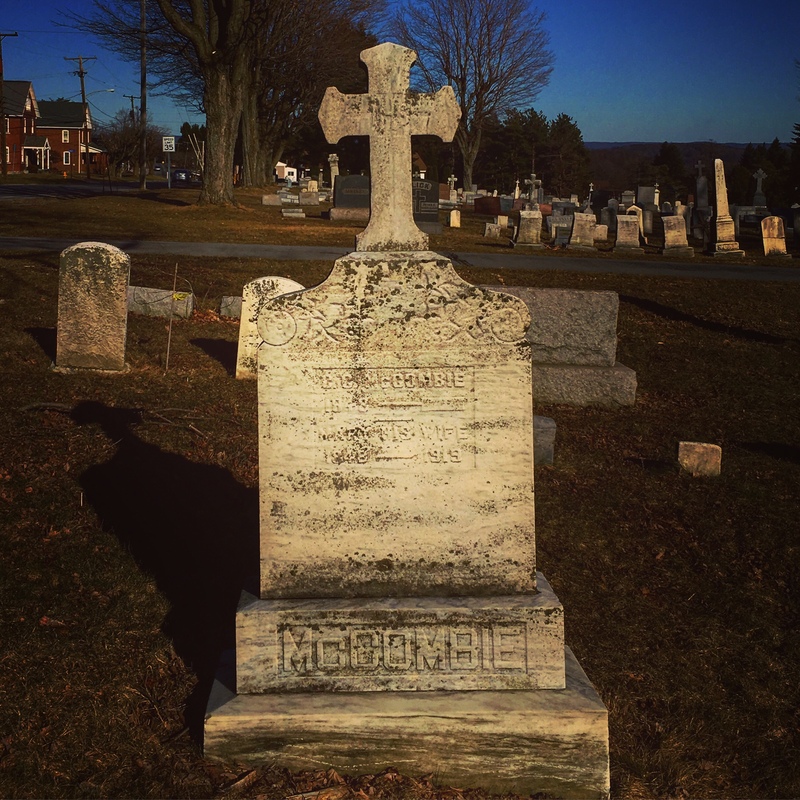 My recent trip to Cambria County, PA allowed me to find several stones and the research from that trip gave me a lead on an obituary I am hoping to see the newspaper clipping for (or at least a photo/scan of it). Below is the obituary. 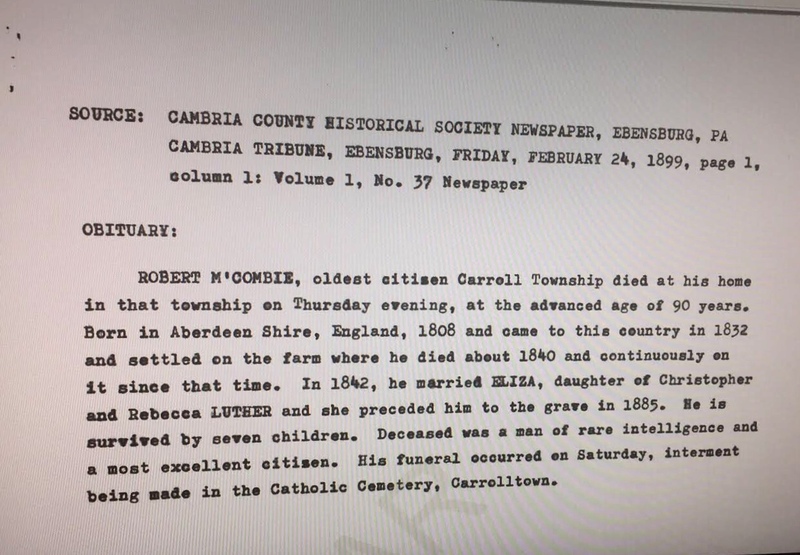 I have reached out to Cambria County Historical Society (noted in the text) to see if they might have a scan or microfilm of it. Fingers crossed! The headstone below is that of my second great Grandfather (and son of Robert, noted in the obituary). My collecting those various pieces of paperwork, allows me to secure the foundation work for my DAR application. I hope to be able to visit their museum in Washington DC. When I was there in January, it was during the government shut down. The museum was not open at that time but I walked past it. Have you joined DAR? What was the process like for you? I would love to hear about it! Let me know in the comments below.